A launch date for the M2 release has not been revealed. 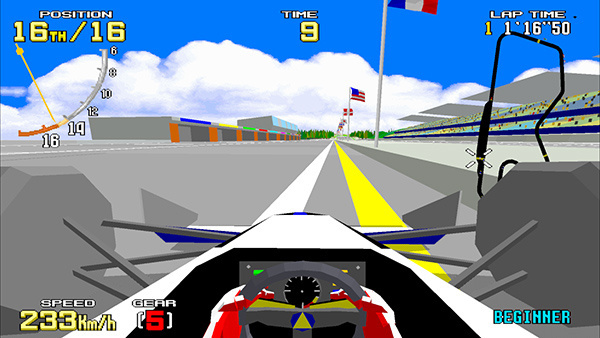 Virtua Racing began as an arcade release in 1992 and was developed by Sega AM2. It is considered as one of the most influential games of all-time for popularising 3D polygonal graphics. 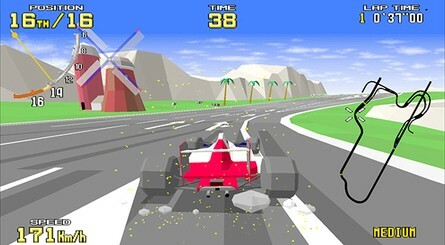 Do you have fond memories of this classic formula one racing game? Are you planning to buy any other games in the Sega Ages line? Tell us in the comments below. So much yes! TIME BONUS! Sega have had so many brilliant racing games it isn’t even funny. Superb news! This was up near the top of my wishlist. I can still remember seeing the arcade unit in my local arcade for the first time. Me and my friend were blown away. I bought a Mega 32X specifically to play this game. It was a respectable port but it was far from arcade perfect. There's never been an arcade perfect port in fact....until now. It's being emulated from the ground up so perhaps it will run at 60fps, like they done with Outrun.We know it will have wide screen since the arcade unit was the very first one to have a wide screen monitor. Is online multiplayer a possibility? 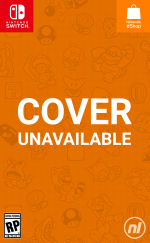 They announced yesterday that Columns 2 and Thunderforce AC will have online so there's a chance. @Mailman This is translated from the game's official page. 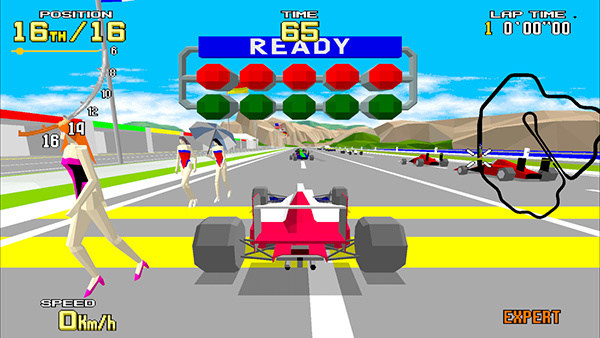 "While the game has been ported to several different consoles, such as the Sega 32X and Sega Saturn, this marks the first faithful arcade version port in the history of the game. The game’s emulation is being done from the ground up without relying on work from the 3DS Sega releases. More info will be revealed later." Virtua Cop 1&2 - with gyro controls and ideally some plastic gun shaped peripheral to stick my Joy-con in. House of the Dead series - see above! 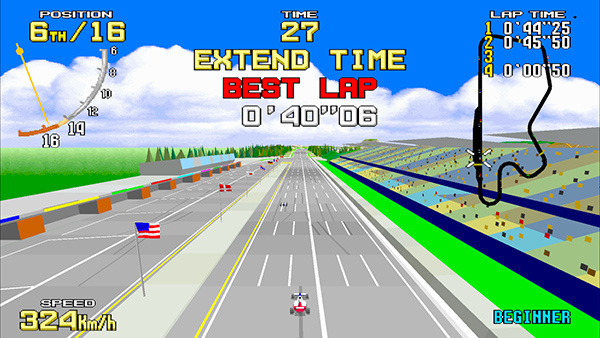 Daytona USA - with online multiplayer racing and time trial leaderboards. Sega Rally - see above! Shenmue 1&2 - give it the M2 treatment, with some QoL improvements and other wee touches here and there, making them the definitive versions of these 2 classics. Outrun - Coast 2 Coast - a straight port would do but knowing M2 it will be improved in some way. This is the arcade version? Oh heck yeah that's even better!!!! I can't wait!!! @OorWullie didn't the PS2 get an Arcade Perfect port of VR ? Amazing news, this was my most wanted from Sega Ages! My favorite arcade game ever, and finally Arcade Perfect!! @Gerald The PS2 version looked the part, but the handling was completely off. Warner Brothers developed the game if I’m not mistaken. Edit: maybe it was Sega, but it was a bad port. This is what the AGES collection needs to be. Avoid Genesis ports because for the price of 3 of 'em you could have the upcoming Genesis Collection. Arcade ports, Dreamcast, Saturn, Sega CD, this is where they need to go. I wonder if M2 will port in some of the extra content from the various home ports. If it was any other developer, I'd automatically dismiss such a notion. But it's M2 handling the development, so anything is possible here. Thanks for including the line-up so far. I was genuinely finding it hard to keep up. 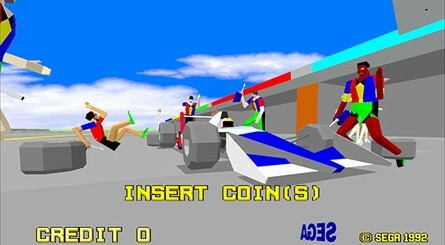 It's good that Sega is including arcade games already, and 3D ones at that. I used to really want to own all these in the '90s. Just don't forget about the Golden Axe coin-ops, please! I was coming to say how little I want this and that there are far more interesting things in the back catalogue. But judging by the response here seems I'm wrong. God bless SEGA Ages, let the good times roll! oh yeah. give me daytona please! also can i get some panzer dragoon? This is more interesting stuff. Glad it's the arcade original. Some of the version were not so great. Lets hope we get more like this going beyond/before the Megadrive era. Heck yes!! Now I'm buying all of them! @sleepinglion Lightening Force/Thunder Force 4 is NOT part of the upcoming Genesis Collection. Loving these releases. As soon as a Panzer Dragoon game gets released I will be a happy chappy. I'll buy this day one – one of my favorite games on the Genesis and that wasn't even a great port. Good, yes, but not great. If this is even 90% arcade-perfect I'll be an extremely happy guy, but $7.99 poorer for it. Now that's what I expect to see more from the Sega Ages line. Now imagine this: Virtua Racing multiplayer on the go with true LAN multiplayer with other Switch owners, just like in the arcades back in the day! @Mailman Better than arcade perfect normally, since it will likely run in HD. The screenshots here are 720p at least, so it is reasonable to think that the game will likely run at 1080p60 docked and 720p60 handheld. Sega giving you the virtual console you crave on a Nintendo machine. There was a time when such an idea would have been unthinkable! Can't wait! Having a blast with the first two Ages entries. Thought I wouldn't be bothered after the 3DS versions, but there's just something about playing these games on the TV. M2 are the masters of this field. @Medic_alert Nintendo abandoning the VC was the best move ever for Switch. It's become a retro gold mine! Remember when people were complaining about Sega AGES and that other consoles were getting the Genesis Collection? Now it's "eh, we're getting the Genesis Collection, and that's great and all, but give me more of Sega AGES! Can't get enough!" Is this definitely an aracde port? If so I'm really up for this. If they have moved on to model 1 titles, Virtua Fighter would be cool to as would Star Wars Arcade but they would need to sort out licensing issues which probably wouldn't be worth it financially. If they move on to model 2 then there are tons of games i'd love to see. You could well be right! I have nearly as many classic games on it as I did my Wii U and 3DS combined. Games like this will get me to buy into AGES. I guess I'm in the minority...there are definitely Sega games I love (I just started playing Landstalker again! ), but then there are games like this, that I thought looked like crap even back in 199x. I don't see a reason to revisit this game. And like that I don't even care that Nintendo is to asinine to release their classics on the Switch. Now just give me Panzer Dragoon and I'll be in heaven. Preferably the special Diamond Edge version from the PC. I haven't played this but I had Stunt Race FX on SNES, I remember that I loved it back in the day. It can run on SNES Classic Mini too, but it still runs around 15 fps in a window. :S It was fun when I was a child though. Online multiplayer would be nice. I don't mean to offend anyone but personally I do not think the Sega games have aged as gracefully as those on Nintendo systems. Yes Sega made cool racing games, and fighting, but their games are very basic and 'arcadey' compared to the complexity of design and story of many of the retro games on Nintendo systems. I do not enjoy the Sega games like I used to. I want Skies of Arcadia rebooted though. It is my personal favourite JRPG of all time. As much as I would love to see light gun games make it onto Switch (such as Namco's Point Blank series, which were outstanding party games), there's one big technical obstacle to that happening: those old games depended on the curved screen of a CRT display to work correctly, and today's flat HD screens aren't compatible. There might be workarounds via the JoyCon controllers and/or some sort of (preferably gun-shaped) attachments, but then you have to consider the latter would likely have to be supported solely by the third parties making the games in question. It's a lot to ask for a cost/risk perspective for a third party developer, probably too much, unfortunately. What a wonderful way to start my Saturday. I wish I still had my Genesis copy. I'm wanting Phantasy Star to happen so SO BADLY! Yes. Get in. One of the games I wanted to get the Sega Ages treatment. Gives me hope that the collection isnt just going to be the usual suspects. Amazing news! Daytona is likely next. @TsC_Xanatos Phantasy Star is already confirmed to be part of the Ages lineup. @AtlanteanMan The CRT isn't really a problem, alot of modern emulators have made it so it can work on modern flat screen TVs, My homebrew wii has SNES, NES, Master System emulators which let the Wii remote work as a LCD light gun (even Nintendo did this for the Wii U with Duck Hunt and Wild Gunmen) to be honest it's alot accurate then past light guns. So in short yeah they can easily do it with the Joy Cons if the wanted to, also There's a good port of Point Blank on DS. Needs Labo support! It's not going to feel like an arcade game without a steering wheel, and a gas pedal. Love the arcade original. Definitely looking forward to getting soon if it ever comes stateside. There’s something special about a classic Sega Arcade game. Kinda looks like a SNES starfox but with racing. Neat. Loved this game back in the day. Living on the Isle of Man 🇮🇲 I’d like to see Sega’s TT Racing. I know it was an arcade rideon machine, but it would be nice to see it on switch. Switch is never going to have the TT racing game that’s on PS4 and XBone. This is wonderful news indeed. It'll be the first time that the ACTUAL and original arcade version will be playable on home consoles. I'm REALLY looking forward to this. (edit 2) But of course, those kinds of peripherals aren't really necessary. Much like the Wii games could just be played with the Wiimote (and in some cases combined with the nunchuck), so could these games now be played with just the JoyCon. The peripherals basically only add some extra immersion, but are of course not really of any critical importance to the games. And the Wii also had some arcade perfect conversions of classic on-rails shooters, and they worked perfectly, so I see no reason why that wouldn't work on the Switch. I know they've said it's coming, but I want it now, lol! For what it's worth, don't get your hopes up on that Genesis pack. There are notable problems with it on PS4 and PC-- pretty bad latency and the emulation isn't great. 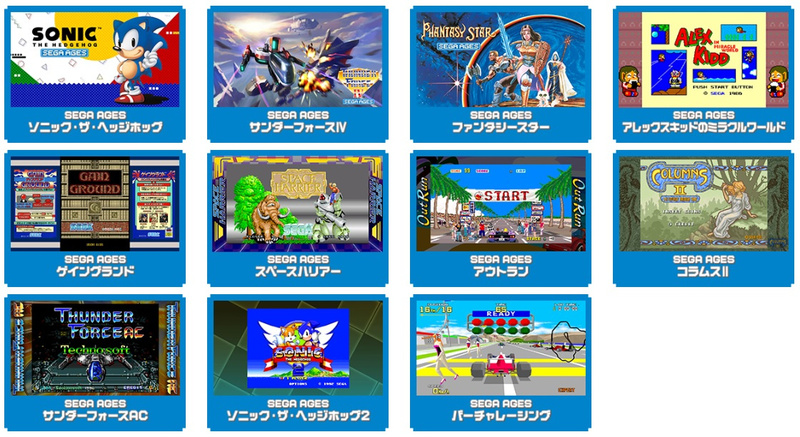 The M2-backed Sega Ages releases will be handled better in general and they're adding optional new features on top of the original games. Maybe we will get virtua fighter and virtual on also..
@Djgoa @Djgoa athlete Kings and winter heat with online multiplayer may cause me to cave on Nintendo Online!!!! See with all these compilations and arcade ports from Nintendo, Sega, neo geo, and Johnny turbo, you are getting your virtual console from everywhere. The more racing on Switch, the better. Especially since "Racing Apex" and "90s Super GP" (two fantastic looking racers) still don't have release dates. And I wish "Horizon Chase Zero" would come to Switch too. If they release Daytona I do believe I’m going to do a huge “day one” right here in the living room. @deejrandom I'd have struggled to get any work done with Daytona sitting opposite me. Me and my mate pumped so much money into it back in the day. @GrizzledVeteran Horizon Chase is coming to Switch sometime this year. @GrailUK Sounds like they know exactly what they’re doing. Anyway, this is fantastic news. Sega Ages for the ages. M2 is proving to be the retro port masters, time and time again.The Sega 3D Classics line was remarkably immaculate. @ekwcll Yeah, this is actually much, much better. @Antraxx777 I would be so down for VF2! Anyhoo, is it just me or does the draw distance look like its had a boost? Are these pictures from the Switch version? Maybe M2 will let you toggle pop up lol. Not layed this ever but I do like the look of it quite a bit. Outrun would be cool too. Had it on the 3ds long with a few of the other M2 3d classics and they were all great. I may have to check out the already released ages games and see if anything takes my fancy. M2 wanted to bring Virtua Racing to the 3DS but they had stopped making 3DS ports at that stage. There’s an interview with them online mentioning this, it was top of their wish list. Great to see it finally happen. @BlueOcean M2 needs to branch out to Nintendo games and give the Ages treatment to Stunt Race FX and Star Fox. 60FPS and full screen mode! Oh my goooooooooooooooooood this is incredible, literally made my day so much. Scud race anyone? Sega please make this arcade perfect & no console into it. @insertcoin2play And Diddy Kong Racing. Go Sega go!!! I envision the Sega lineup to be even bigger than Hamsters!!! Man, I played this game in the arcades a lot! It was revolutionary at the time. @GrizzledVeteran having a great time with Horizon Chase Zero!!! @AtlanteanMan, if you looked at the workaround Nintendo did for their NES Zapper games, and apply that with how they adapted Captain Toad: Treasure Tracker’s touch controls to pointer controls via gyroscope; you will find out that it‘s STUPIDLY easy, this isn’t 2005! @vio Exactly, and that's what these need to be. Not Sonic. 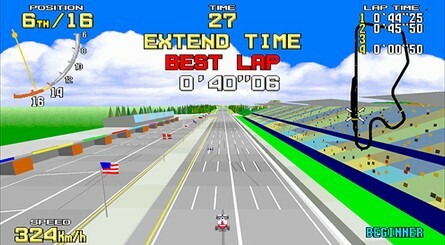 All the Sega's racers please!! I'll be buying this for sure.